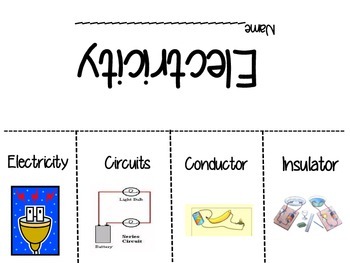 A great visual reference for your students to use during their study of electricity. 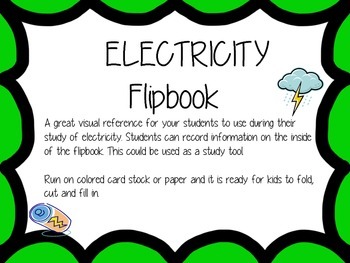 Students can record information on the inside of the flipbook. This could be used as a study tool. Run on colored card stock or paper and it is ready for kids to fold, cut and fill in.